Second time’s the charm for the Japanese spacecraft Akatsuki after a successful Monday insertion into the orbit of Earth’s sister planet Venus. In the midnight hour, the climate probe thrusted for an impressive 20 minutes and 30 seconds, enough to get caught up in the hot, dense planet’s gravitational pull. This new attempt comes exactly five years to the day after JAXA, the Japan Aerospace eXploration Agency, tried to enter Venus’ orbit the first time. Akatsuki is now the only spacecraft orbiting our nearest neighbor. 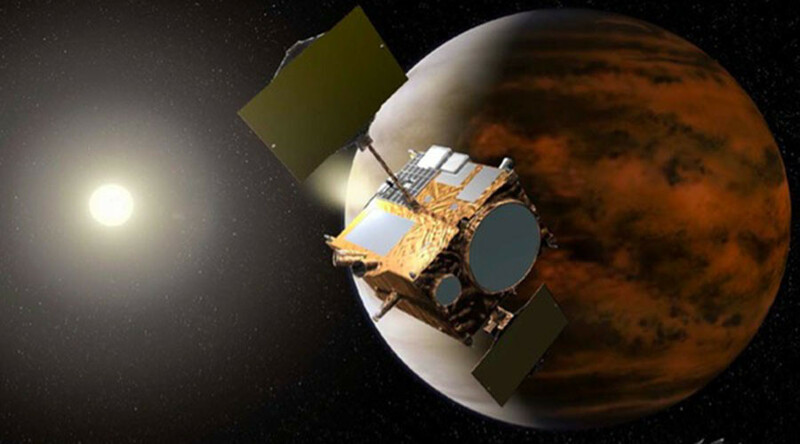 The 2010 mission was an epic failure when a problem with Akatsuki’s equipment meant it zoomed right past Venus instead of penetrating her orbit. Scientists refused to give up and vowed to try again, even though it meant waiting half a decade to be in alignment with the planet of love. It will take the mission team a few days to measure the spacecraft’s trajectory, confirm the orbit, and download images, although Limaye couldn’t confirm when photos of the insertion would be released to the public. Akatsuki is expected to get between 5,000 and 300,000 kilometers of Venus, not as close to the planet as scientists hoped for, but still close enough for the spacecraft to study Venus’ toxic atmosphere. An American planetary astronomer celebrated the exciting development with a cat video.